On May 18th the Billy Bauer Band will be performing their Dave Mathews tribute show at the historic Mauch Chunk Opera House in Jim Thorpe. 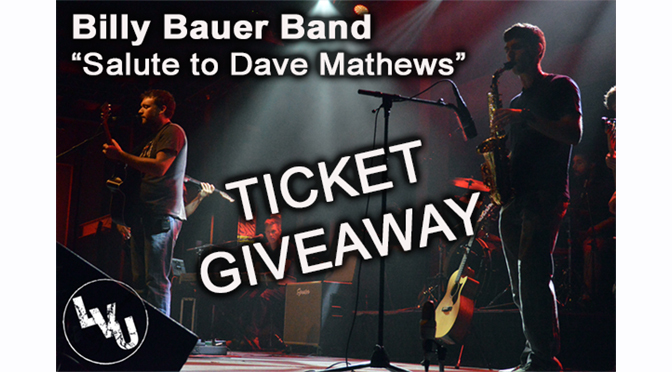 The Valley Ledger has a limited number of tickets to give away, and all you have to do is tell us the name of your favorite Dave Mathews song. You can enter by commenting on our website, Facebook, Twitter, Instagram, or reply to our contest email. The more places you comment the better your odds are of winning. Winners will be notified on Monday, May 9th. If you are not a member of our contest email list be sure to sign up before our next contest by clicking here.